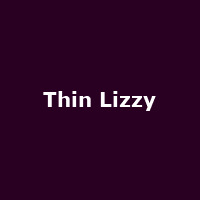 Legendary Irish rock outfit originally fronted by the late Phil Lynott, founded in Dublin in 1969. The band still includes founding member Brian Downey, the drummer, and also included guitar legend Gary Moore for a while. Key songs include 'The Boys Are Back In Town', 'Dancing In The Moonlight' and 'Whiskey In The Jar'.